in such a way that it operates to reach out to other organizations and companies as their targeted market place to transact with, while the latter has the consumers and buying public as its main targeted market base. The first method is to make sure the typography of your content is suitable. In what is seen as a very shaky and untrustworthy business economy, building trust with your current customers and your prospective ones is the golden ticket to boosting your business. 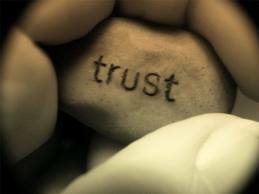 Social media is the key tool that unlocks that trust. The old adage “content is king” as far as the Internet is concerned is still a very true statement. Sharing relevant, informational and useful content on your social media outlets is one of the best ways to start building a trusting relationship with your current clients and a trusting relationship that can open the door to new business from your prospective clients. 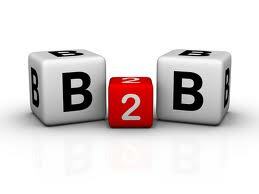 Consumers want to do business with credible businesses and credible business owners. Social media can bridge the gap between someone not thinking you and your business are credible to the land of high credibility. Building credibility with your current and prospective customers requires you to become an expert, be the solution to the problems and issues your customers and prospects are having, and to interact with them so that they know there is an expert behind the brand, business, or organization. Your first step in building credibility on social media networks is to position yourself as an expert in your field. There are a myriad of ways for you to do this. Each day, you can share a tip or piece of advice that is relevant to your audience. When you read a newspaper or industry news article, share to a little tidbit of information and the link to where readers can find more information. Since you are not always trying to sell your followers something but are, instead, simply trying to share information with them, this is the key to building credibility with both your current and prospective customers. Rewind back in time for just a moment. Remember when you used to be in the market for a big-ticket item like a car or a vacuum, or even a lower price ticket item, such as face soap or toothpaste. What would you do? You’d ask your friends, family members, and co-workers which one they bought or which one they use. You would then take their feedback into consideration and make your purchase choice. Social media is the electronic form of word-of-mouth advertising, but it spreads must faster, easier and a lot more people than the traditional offline method. No matter what product or service you offer to your consumers, consumers are talking about it on their social media. As the provider of the product or service, when you create an account on the major social media outlets, you are creating a platform for these conversations to take place. 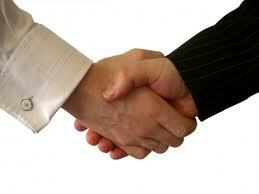 You are fostering relationships between you and your current customers. You are starting relationships with prospective customers, and you are listening in on conversations that consumers are having with or without you. About one in five happy customers shares good news or appraisals on products or services with their social media contacts. Marketing 101 is that you, as a business, need to be where your audience is. Your audience is on social media. It does not matter if your target market is 13-year-old girls or 85-year old men. Consumers are social creatures by nature, so when they have used a good product or received a good service, they tend to want to share this with other people they know. No one marketing tool is the one-size-fits-all solution to marketing your business, product, or service. 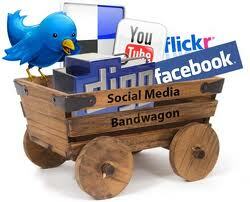 Social media, however, is one piece of the puzzle that completes your marketing tool kit. When you combine your social media marketing efforts with all of your other marketing efforts, you have the opportunity to reach consumers, business owners, audiences, and target markets that you may not otherwise have the chance to get in front of and convert into customers. Quite frankly, nobody buys so much as a pair of socks these days without turning to their friends on social media outlets to get their opinions, read consumers reviews and ratings, and get the good, the bad, and ugly details. Should they buy the white one, the black ones, which brand, and from where? From socks and underwear to technology and cars, take a look around and you’ll see all size companies using social media networks to advertise and promote their products, run contests, elicit feedback from customers, and interact with current and potential customers on a regular basis. When these conversations are taking place, you want to be right in the middle of the mix rather than left behind in your competition’s dust. For more information on the benefits of social media marketing and how to use it in your business, call us on 1300858665. Just a short post today. Actually it is simply a link to a guy who has done OK out of the internet. Mark Zuckerberg has provided an insight into how he does business and built Facebook.